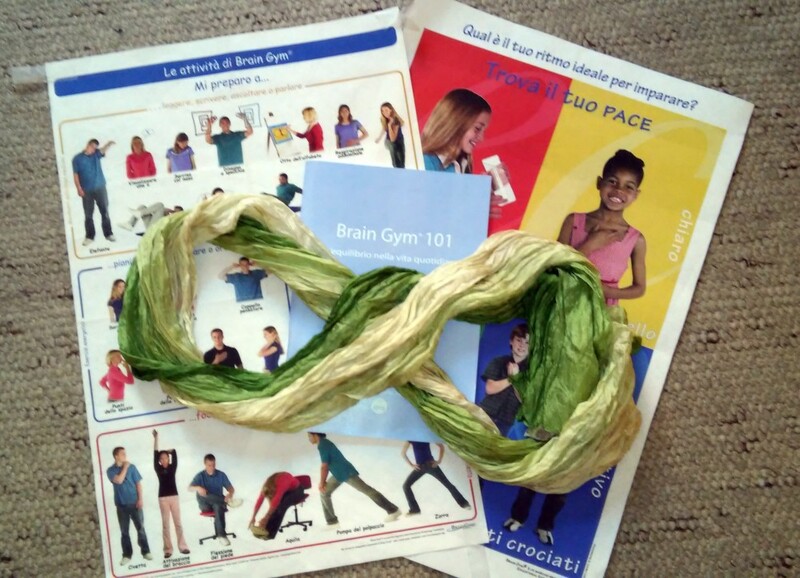 Brain Gym® is part of a personal development program called Educational Kinesiology (Edu-K). It consists of a series of fun and simple movements that finetune the mind and body to facilitate learning in all ages and all situations of everyday life. Through a procedure in 5 stages participants learn to identify their goals, to put them into action, to explore which are the least accessible areas to integrate with the movements of Brain Gym and verify the outcome. the 26 Brain Gym activities are easily applicable and help improve skills in school subjects as well as in sports, art, music and in any kind of task. The Balance Processs: This powerful process links a specific purpose of one's choice with skills that one wants to improve. Through a simple procedure it is established which movements of Brain Gym best support the chosen objective and reinforces the body-mind system through "anchoring" techniques so that new learning can be quickly integrated. The Dennison Laterality Repatterning ntegrates the left and right hemispheres so that the mind shifts its mode of functioning from a reactive model to a conscious model in thought and action.